The idea behind BirdTrack is that if you have been out birdwatching or simply watching the birds in your garden, records of the birds you have seen can be useful data. 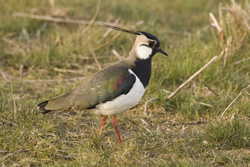 The scheme is year-round, and ongoing, and anyone with an interest in birds can contribute. Important results produced by BirdTrack include mapping migration (arrivals and departures) timings and monitoring scarce birds. We know very little about the timing of arrival and departure of winter visitors and this is just one area in which BirdTrack will provide useful information. There are also many scarce birds where we would like to know much more about their populations. The success of BirdTrack relies on your birdwatching lists. Simply make a note of the birds you see, either out birdwatching or from the office or garden for example, and enter your daily observations on a simple-to-use web page or via the free App for iPhone and Android devices. We need to gather a large number of lists at all times of the year from throughout Britain and Ireland. We prefer complete lists of birds (all species seen and heard) because the proportion of lists with a given species provides a good measure of frequency of occurrence that can be used for population monitoring. Incomplete lists and casual records can also be entered because they too build our understanding of populations, distributions and movements. The local and national results are available on the website for everyone to look at - you don’t have to be a BirdTrack recorder. Every night the BTO computer will summarise that day's records and produce up-to-date maps and graphs showing the latest in migration, movements and distribution. These include animated maps showing the arrival and departure of migrants and the seasonal movements of birds. For scarce species, such as Hawfinch, Lesser Spotted Woodpecker, Woodcock and Water Rail, we will be building up a picture of their distribution throughout the year. You can also view and analyse your own records through specially designed features. We hope that birdwatchers of all abilities will take part in BirdTrack. By encouraging large numbers of volunteers to join in the project we will be able to gather a large amount of unique and fascinating information. We continue to develop BirdTrack in order to provide extra facilities for birdwatchers to maintain and analyse their own records, and for county societies to be able to do this for records within their areas. With your permission, all of your records will automatically be forwarded to the relevant county recorder. As with Migration Watch we are interested in not just when the first birds arrive or the last ones depart, but we also want to know when the bulk of the population has arrived or departed (whether summer or winter visitors). We can also get interesting information about passage migrants, such as inland wader movements. We can work this out by looking at the proportion of volunteers that have recorded a particular species on a given day. By using the lists and counts of species submitted by volunteers we can also investigate how birds filter through the country; for example, do they head up the centre of the country or do they disperse west or east in spring time?
. Others are difficult to survey well due to the habitats they occupy, their low breeding density and their secretive nature. There is a range of species for which birdwatchers could easily and usefully contribute information. We hope to build up an annual picture of their distribution in Britain and Ireland, which would provide an excellent source of information between national Atlas projects. For species such as Hawfinch, Lesser Spotted Woodpecker and Woodcock we would like to receive records from throughout the year, whilst some other species are more common but scarce in the breeding season, e.g. Pochard and Dunlin, and so those records are particularly valuable. Read more about taking part in BirdTrack, or just jump in and register to get started.